Rev Carrey was invited to be officially inducted, by the laying on of hands, into the Clergy of the Australian Church of Antioch. Whereby genuine Apostolic Succession shall be unquestionably his right to claim. He was ordained to the office of Deacon and then to the office of Priest at 10.00am on Saturday the 20th July 2013 in the private Chapel in Alphington of the A.C.o.A. Presiding Archbishop, the Most Rev Frank Bugge. This was duly carried out 10.00am on Sunday the 21st of July 2013, in the private Chapel of the Presiding Archbishop, The Most Rev Frank Bugge. Bishop Carrey Oliver is now the Bishop in the Borneo order run by +Carrey Oliver. Bishop Carrey Oliver will have the position of Bishop of that order to Ordain etc. as he sees fit to do so. Bishop Carrey will still be under the Bishop Protector, Archbishop Glenn Clark, and in the future after a suitable period of gaining experience in his role of Bishop, we expect that +Carrey will eventually become Bishop of Borneo representing Australian Church of Antioch to the Synod. 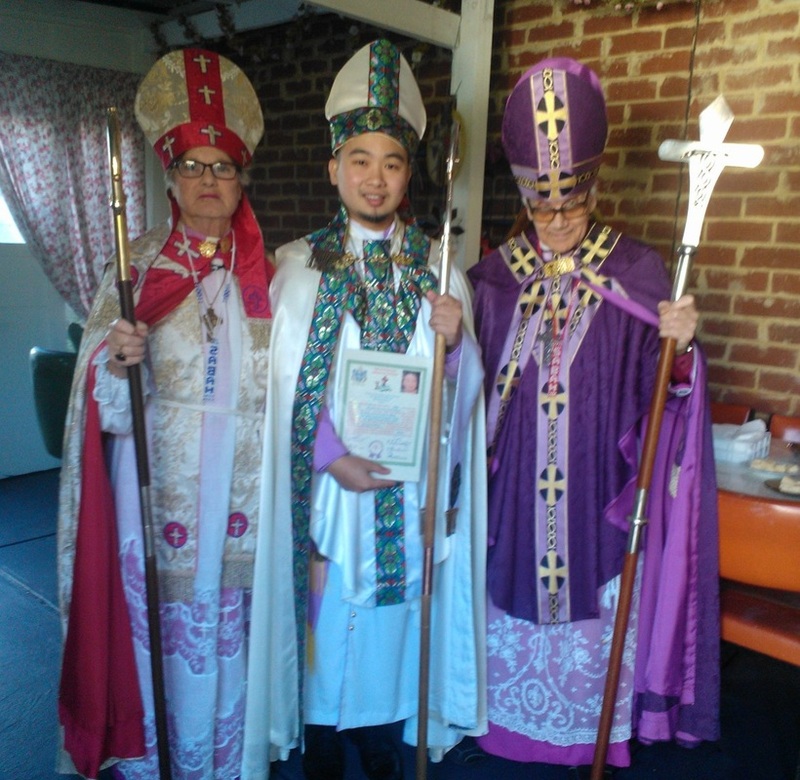 Photos from the Ordination of Rev Carrey OIiver to Priest.